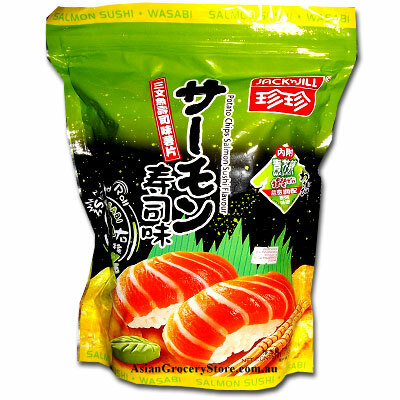 Minimum quantity for "Jack'n Jill Salmon Sushi Flavour Potato Chips" is 1. 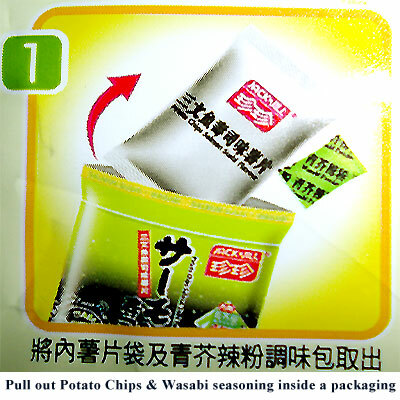 Enclosed a packet of wasabi seasoning powder package. 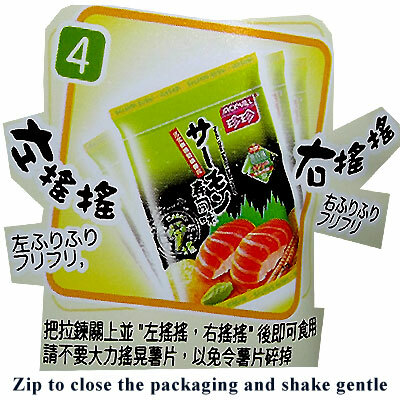 Potato,Vegetable Oil,Salmon Sushi Flavour(Flavour Enhancer(E621,E627,E631,E364(iii)),Fish Powder,Sugar,Yeast Extract,Soy Sauce Powder,Salt,Dextrose,Hydrolyzed Vegetable Protein,Maltodextrin,Flavour,Anticaking Agent (551,E341(iii)),Spices,Sweetener(E951),Acidity Regulator(E330)),Antioxidant(E320,E321,E310). 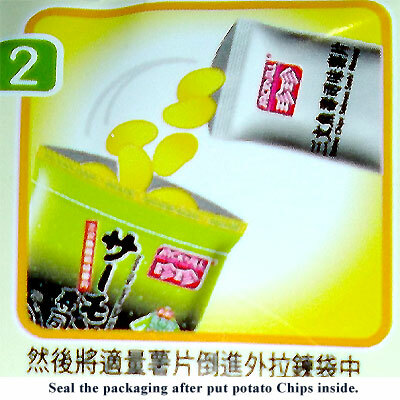 (Contains Fish Products,Soybean Products and Gluten). 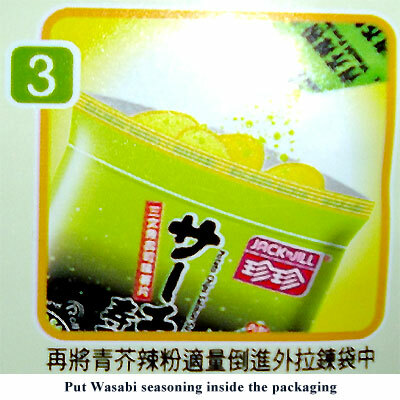 Wasabi Powder: Maltodextrin,Sugar,Salt, Yeast Powder,Spices,Dextrose,Flavour Enhancer(E621,E635),Soy auce Powder,Mustard Powder, Flavour,Hydrolyzed Vegatable Protein,Corn Starch,Anticaking Agent (e551),Vegetable Oil,Acidity Regulator(E330),Colour(E133,E102,E129),Sweetener(E951. (Contains Soybean Products and Gluten).